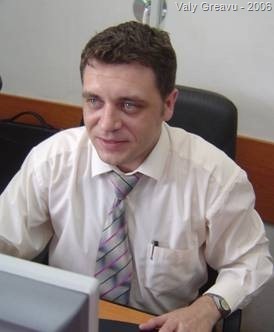 Valy (MVP, MCP, MOS, PhD) is associate professor at “Alexandru Ioan Cuza” University of Iași, Romania since October 2006. First contact with IT world was established in October, 1998 when he begins a PhD program and also was hired as network technician. Actually, is well recognized as an IT Romanian professional and works as consultant for financial, private and public institutions. He specializes in complex systems design, SharePoint technologies, Windows networking, systems management, security, messaging and computer forensic. The highest aspects of his expertise are in: planning, designing, configuring and maintaining SharePoint Server infrastructure becoming first Romanian SharePoint Server MVP in 2009. Valy is co-author of Local Area Networks. Design and Administration (2003, 2006) and Windows Networks. Servers and Clients (2004). In 2005, was finalist at Imagine Cup, IT invitational (Yokohama, Japan) and in 2006 he won second place in the final round of the same competition (New Delhi, India). On his personal life Valy is trying to believe that is a good father, allocating as much as possible time to his daughters and to his wife. His biggest hobby is playing darts and listening music.